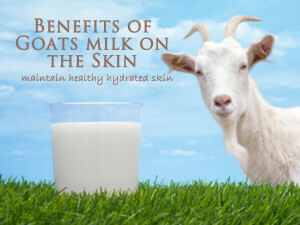 Goat milk can truly benefit your skin’s health. 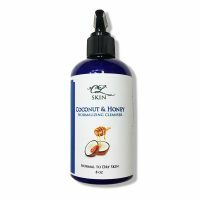 It is wonderful for people with dry or sensitive skin, or conditions such as eczema and psoriasis. 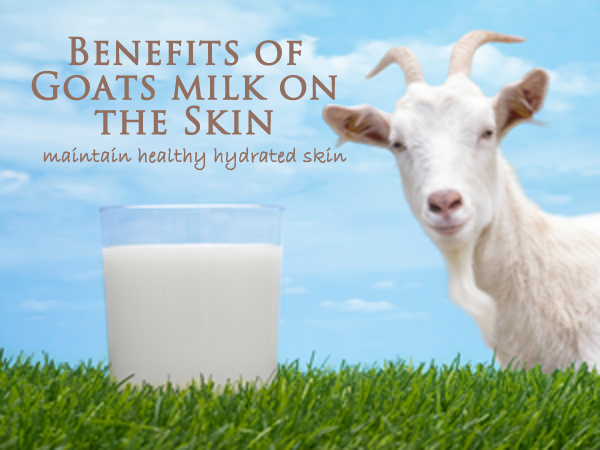 Goat milk contains alpha-hydroxy acids such as lactic acid which help remove dead skin cells from the surface of the skin. 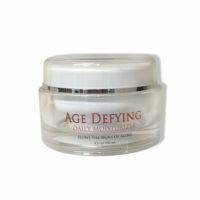 As we age our cellular regeneration slows and dead skin cells are sloughed much slower then children. The turn over of our cells and the sloughing is what makes a baby’s skin so soft. Alpha-hydroxy acids aid the skin in removing the dead dull skin cells from the surface and allowing the softer smoother skin underneath to surface. Removing dead skin cells will help many skin conditions by removing irritation and skin cell build up. Goat milk contains high levels of Vitamin A. So it is safe to say that Vitamin A is great to aid in the healing of skin conditions and improve the appearance of you skin. 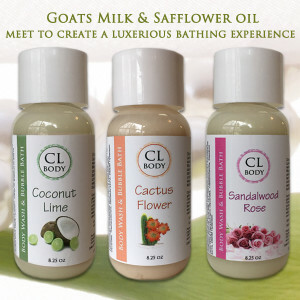 CL Skins Goat Milk and Safflower Oil Body wash has a creamy, decedent lather and is the perfect why to start your day. Goats milk maintains healthy skin, increases hydration and removes dead skin cells leaving you skin feeling soft, hydrated and smooth. 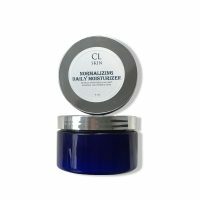 Safflower oil contains linoleic acid making it ideal to boost the quality and appearance of your skin. Furthermore, linoleic acid stimulates the regeneration of new skin cells, meaning that it helps to clear up scars and other blemishes from the surface of the skin, leaving you looking younger and more attractive! Pick your favorite fragrance: Sandalwood Rose, Cactus Flower, Coconut Lime, Lavender, Jasmine or Strawberry Champagne… More fragrances coming soon!